On Monday, the US Mint release the artists sketches of the first four coins in the Presidential $1 Coin program that will begin in 2007. These new coins will be minted using the same magnesium-brass composition, size, tactile features, and electromagnetic signatures of the Sacagawea Dollar. The Sacagawea Dollar will continue to be minted, as required by law. 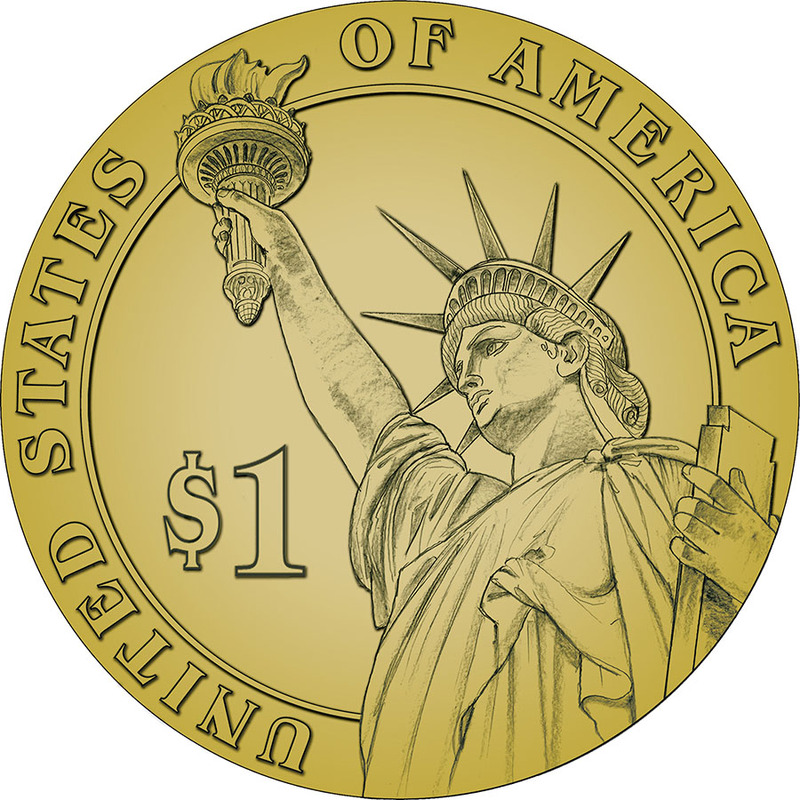 As prescribed by the Presidential $1 Coin Act (Public Law 109-145 [GPO: text or pdf]), the coin will feature the likeness of each US president on the obverse of the coin and an image of the Statue of Liberty on the reverse. These coins will also feature edge lettering, not seen on circulating coinage in almost a century. The edge of the coin will feature the year of issue, mint mark, and the national mottoes E Pluribus Unum and In God We Trust. It is a first time the US Mint will have the date minted into the edge of the coin. The common reverse will feature the Statue of Liberty with “United States of America” around the outer ring of the coin. Also on the reverse is the denomination written as “$1.” I believe it is the first circulating coin that uses the dollar symbol. The reverse was designed and engraved by US Mint artist and engraver Don Everhart. 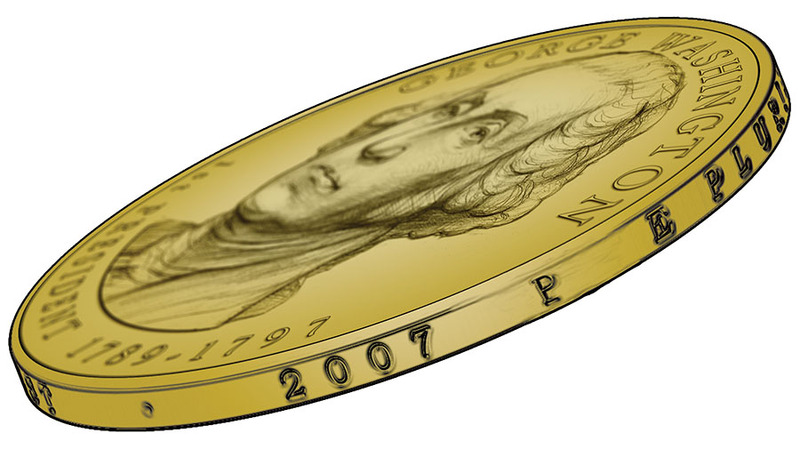 George Washington $1 coin is scheduled to be released on February 15, 2007. 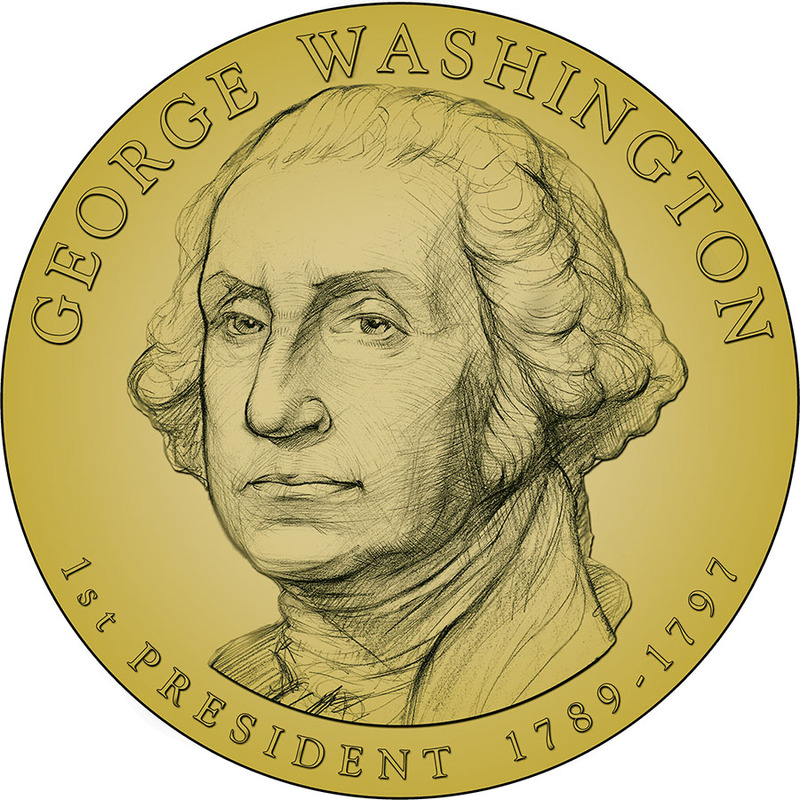 The obverse of this coin was designed and sculpted by US Mint engraver Joseph Menna. 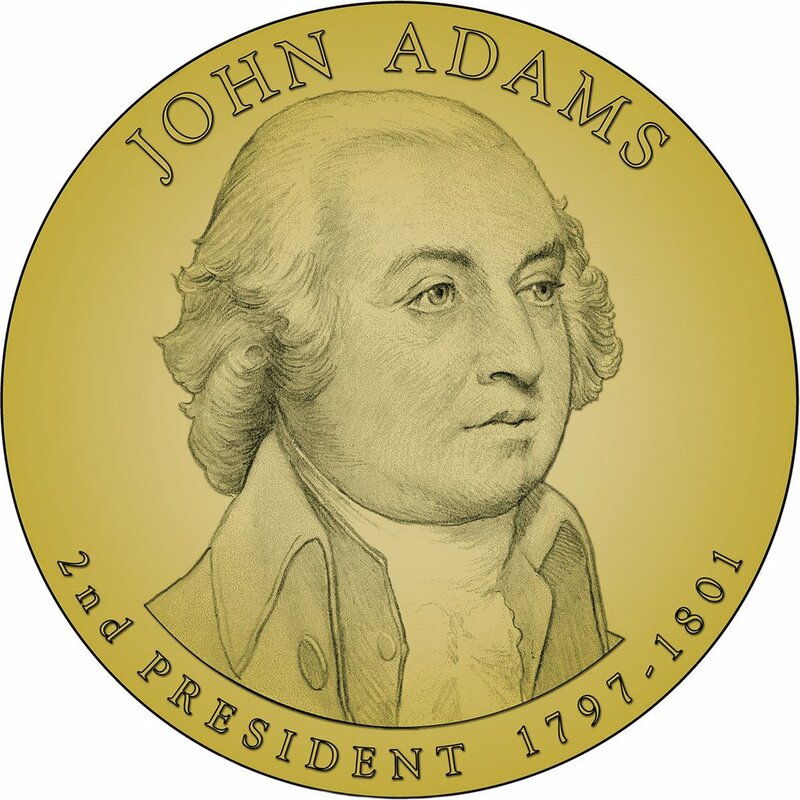 John Adams $1 coin is scheduled to be released in May, 2007. It was designed by Joel Iskowitz, a member of the Artistic Infusion Program, and sculpted by Charles Vickers of the US Mint. 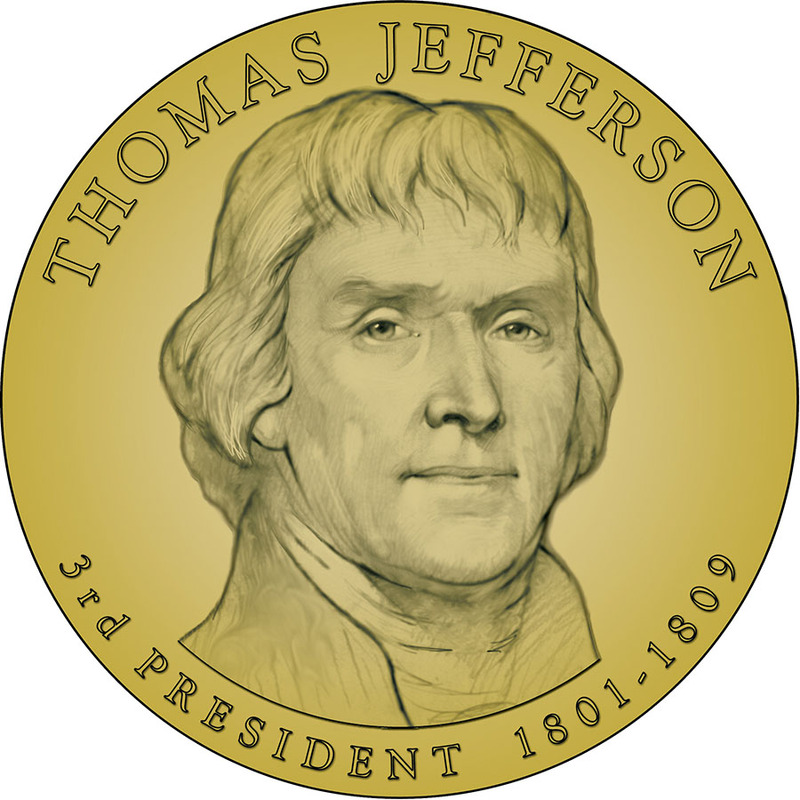 Thomas Jefferson $1 coin is scheduled to be released in August, 2007. The obverse of this coin was designed and sculpted by US Mint engraver Joseph Menna. 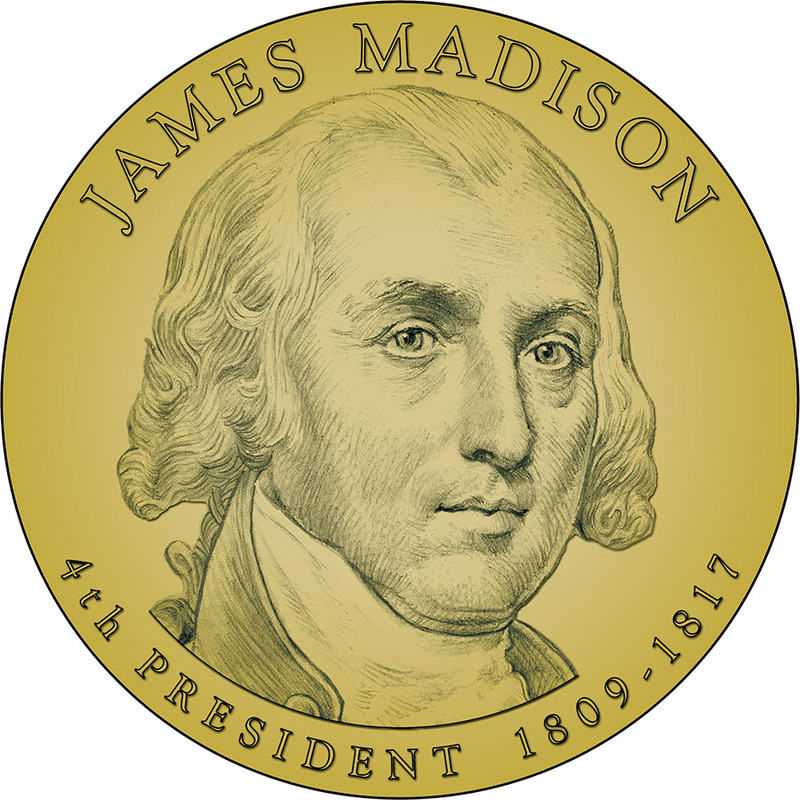 James Madison $1 coin is scheduled to be released in November, 2007. It was designed by Joel Iskowitz, a member of the Artistic Infusion Program, and sculpted by Don Everhart of the US Mint. I believe the Presidential $1 Coin program is a wonderful idea. However, the potential for failure will continue as long as there is a circulating one dollar Federal Reserve Note.